Everton remain with the same quartet of players unavailable ahead of Saturday's Barclays Premier League clash with Swansea at Goodison Park. Kevin Mirallas and John Stones have been sidelined by hamstring and ankle problems respectively, while Bryan Oviedo and Arouna Kone are set to play in a practice game next week as they continue to work their way towards first-team action. Toffees boss Roberto Martinez has said the knocks Romelu Lukaku sustained in the 3-1 win at Burnley and Darron Gibson picked up in training should not prevent them from being selected. 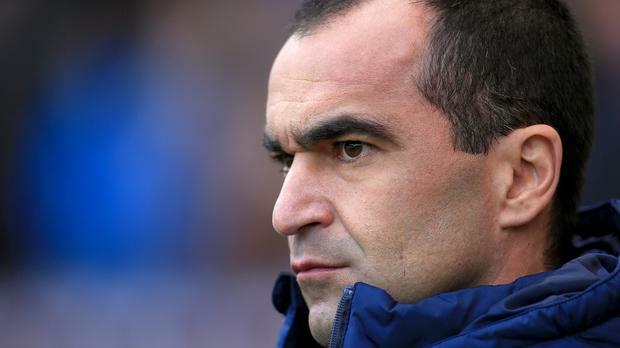 Martinez's men host his old club Swansea on Saturday, having been beaten 3-0 by the Welsh club in the Capital One Cup at the Liberty Stadium earlier this season. The Toffees boss has been quick to stress that, while some lessons will be taken from that game, the starting XI he selects this weekend is set to be very different from that cup tie, where he made eight changes. "I think every game you play against opposition not too long ago can help you prepare a game," said Martinez, who was Swansea boss Garry Monk's team-mate and then manager at the Welsh outfit. "But our team is probably going to be quite different to what it was that night. "I think we know everything about Swansea, and I think they know everything about us - I don't think there are any secrets there between the two sides. "That game, if you had played it 10 times, I think the scoreline would be very, very different." Gylfi Sigurdsson should shrug off a groin injury to feature. The influential Iceland international limped off during the second half of last weekend's 2-0 home victory against Leicester and was rested for the Capital One Cup defeat at Liverpool in midweek while Swansea also expect midfielder Ki Sung-yueng to play after a shoulder problem. Goalkeeper Lukasz Fabianski, winger Wayne Routledge and striker Wilfried Bony will return after being stood down at Anfield while Argentina defender Federico Fernandez is free to play after having his red card for a tackle on Liverpool's Philippe Coutinho rescinded by the Football Association on Thursday. Bony is expected to lead the line for the Swans as they aim to make it three games unbeaten in the Premier League. "We know it will be a very tough game, but we are going there to win," he told the club's official website. "To get another win in the league would be great for our momentum. "We've made a good start in the league - sixth is a good position for us - and now it's about building on that."